This entry started with two awesome folks who submitted their favorite blog entries after I'd already posted the others. But then I left it alone in the lab overnight, and it started to mutate. The green bubbly goo overflowed the Erlenmeyer flask. Strange vapors curled their gaseous tendrils up into the air vents. And then there was no containing it. Here they stand, terrible in their glory. 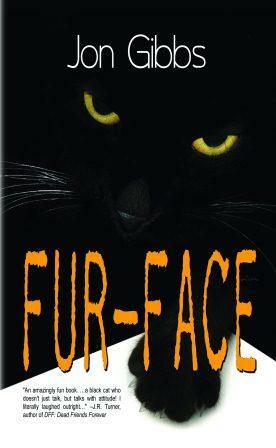 Jon Gibbs, author of "Fur-Face" and the forthcoming "Barnum's Revenge." His entry is perfectly hilarious in its own right: Paperback Writer: Great song, but what if it was a real query letter? But aspiring authors of the blogosphere, take note: THIS guy, you need to follow. I don't care what you're writing. This gent is a sterling example of how to blog: he is ALWAYS sharing links, running contests, hosting fun giveaways, interviewing up-and-coming new writers, and doing everything else under the sun to make this long and solitary road a little less so for all of us. His mutant power is generosity, his emblem is an oversized smiley, and he is the kind of superhero you don't need a radioactive spider-bite to emulate. Get on it! Have you ever worked in a prison? Quietly barfed in your seat during a Broadway play? Interviewed an executed man's grieving mother? Let's be real: trying to write for any kind of publication is the ego equivalent of a self-inflicted chemical burn. But writing personal non-fiction, writing just what you've really done and said and experienced, and putting THAT out to be pooh-poohed, has to be like putting in your contacts during a sandstorm. I'm not sure which part gives me more respect for Pam: that she's braved the world and done all those amazing things, or that she has the courage to write about them (and herself by proxy) and collect rejection not just for a story she made up, but for pieces of her own life. All I know is, she makes real look GOOD. Oh, and the better news is: she is accepting guest writers for her blog! If you have experienced loss/grief or work in a closely associated profession, check out her blog and drop her a line - she has built a terrific audience, and is not stingy about sharing it. Lastly, there is one person for whom I have no link, because she has no blog. In fact, she didn't request inclusion here at all. But I'm going to shout her out anyway, because she has done so much to spit-shine my soul - quietly, selflessly, and mostly without knowing me from Adam - and for absolutely no return. To be clear: I'm no butthead. I got the memo about sharing, taking turns, and playing nice back in my juice-box days. But I was amazed at how a single out-of-the-blue note from this lady *completely* made my week. It was a walloping big reminder about how much power we have to affect other people - and I mean serious, major-league, lecture-from-Uncle-Ben POWER - and how easily one can drop a fifty-megaton sunshine-bomb on somebody, and with no more than a few minutes' time investment. I need to do that to more people, more often. In the meantime: thank you, Yorkist, for so thoughtfully irradiating me. So, good people of the Internet, let me turn it over to you: who rocks YOUR world? --That's the way to do it - that's old school. Awwww. You know what? You are too freakin' cool for school. You are a seriously nice person who gives thoughtful, smart critique and I for one would like to say that you rock.